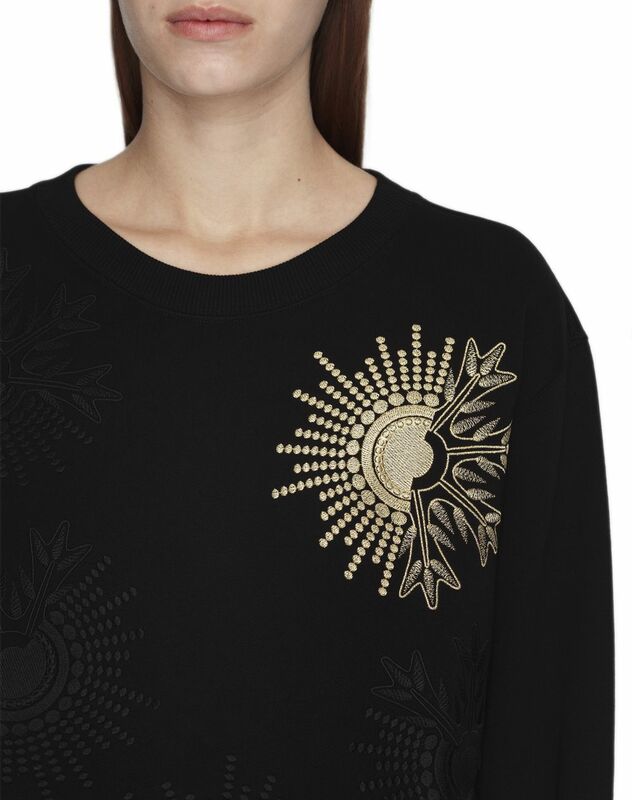 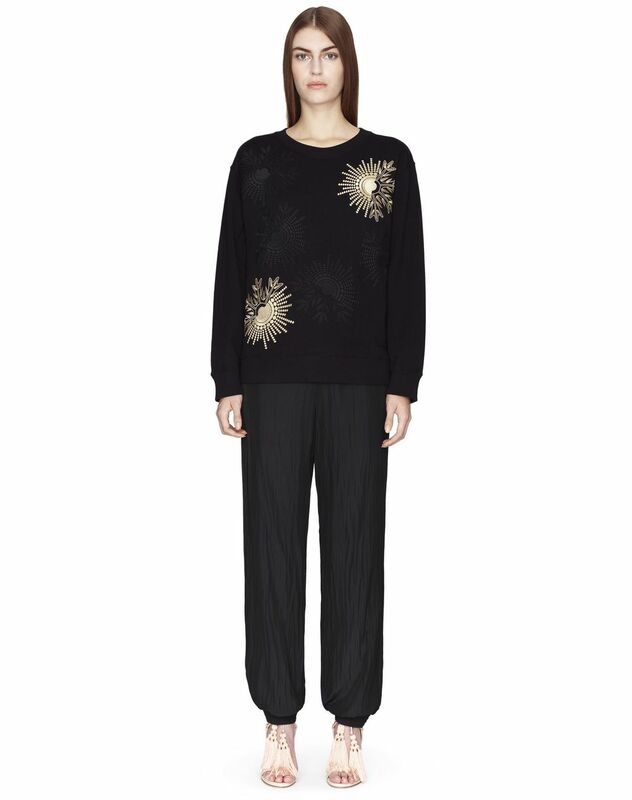 Black cotton jersey knit sweater, long sleeves, round collar, "Soleil" motif embroidery detail in metallic gold and black lurex, and ribbed hems. 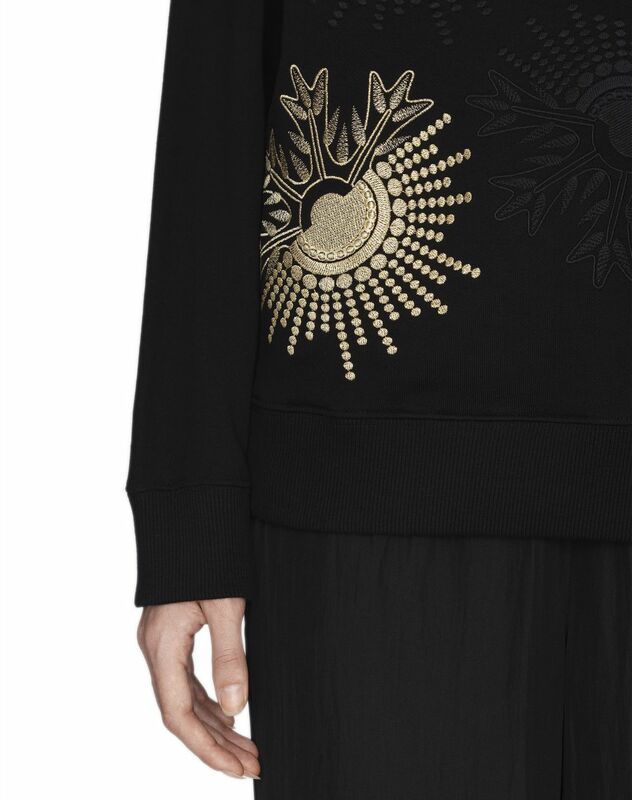 Enhanced by "Soleil" jacquard motifs in black and gold lurex, and inspired by embroidery from the brand’s archives, this piece from the End Of Year Capsule Collection combines comfort with the latest fashion. 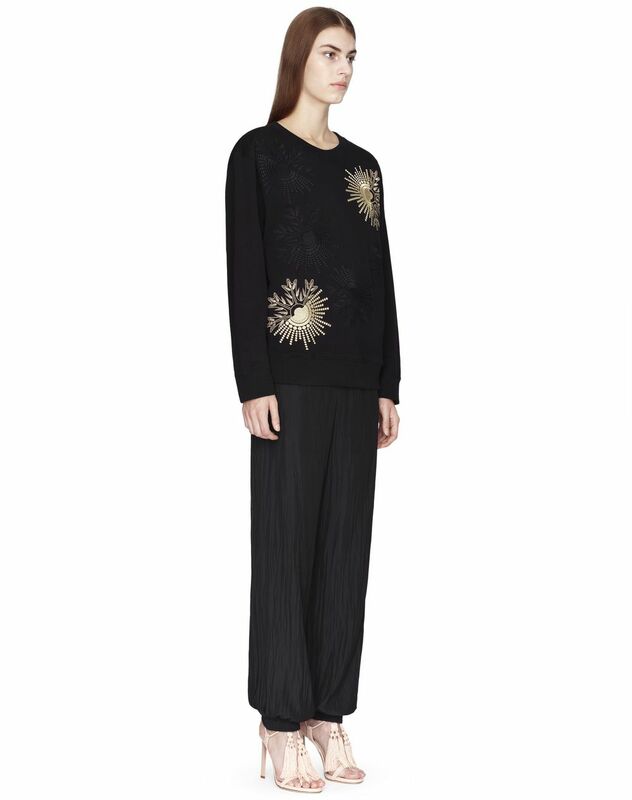 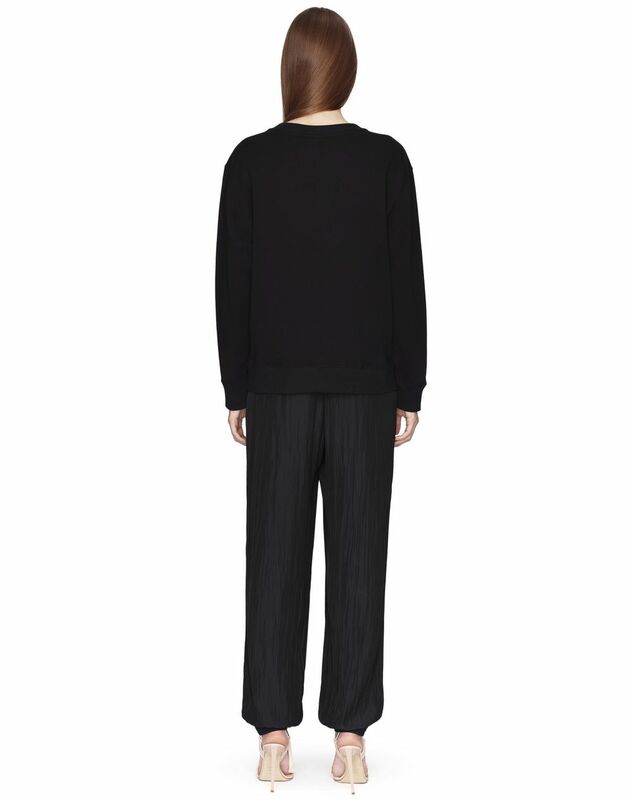 Imbued with modern elegance, this cotton sweater is a seasonal must-have, perfect for everyday wear.